I've always known that my ancestors emigrated to America from Europe in the 1800s. The Gambskys from Poland and the Millers from Denmark. The Jacobs from somewhere in Germany and the Stegers from Bavaria. Only the Stegers came here recently enough for me to have personal contact with any of the immigrants. My grandfather Frank Xavier Steger, Jr., was a toddler when his parents left Germany for America. All I ever knew was that they were from a village near Nuremberg and sailed to America in the early 1890s. Now, finally, I know the details. Searching online genealogy sites, I found the ship, the sail date, and even the passenger list for the voyage that brought Frank Xavier Steger, Sr., and his young family to America. "Built by A/G Vulcan Shipyard, Stettin, Germany, 1889. 4,076 gross tons; 370 (bp) feet long; 44 feet wide. Steam triple expansion engine, single screw. Service speed 14 knots. 1,156 passengers (121 first class, 35 second class, 1,000 third class). "Built for Hamburg-American Line, German flag, in 1889 and named Dania. Hamburg-New York service. 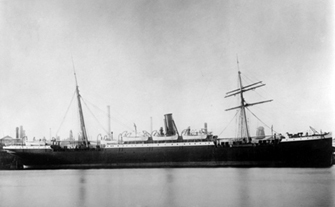 Sold to Compania Transatlantica Line, Spanish flag, in 1895 and renamed Monserrat. Reverted to Hamburg-American Line in 1896 and renamed DANIA. Returned to Hamburg-American Line, German flag, in 1897 and reverted to Monserrat. Barcelona-New York-Caribbean service. Sold 1926. Scrapped in 1927." I now know that my great grandfather came from Hotzelsdorf, Niederbayern, Germany. Even today, Hotzelsdorf is a tiny village. Google Maps aerial view shows a handful of houses surrounded by small fields. I now know that my great grandfather was a gürtler, or beltmaker. 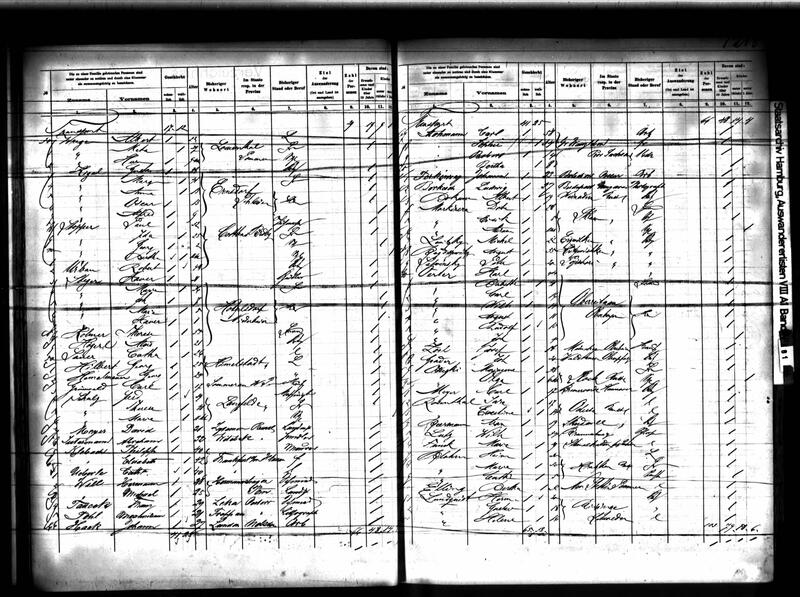 In the 1900 census in America, his family has grown from three to five children (another would be added in 1901) and he lists his occupation as "laborer in [paper] mill," which suggests the motivation for emigration -- the promise of a better job and a better life for his growing family. For information about all our ancestors, visit our online Family Tree. Why are the two Franks listed under their middle names, Xavier? Any theories about the answers to those questions?